Want to increase your MINIs attitude? LOWER its altitude! Picking the right coilovers for your MINI just got a lot easier, as you can find all your favorite brands at ECS Tuning! Select your MINI from the left-hand side after you click through below. Click HERE For BC Racing Options! Click HERE For FortuneAuto Options! Click HERE For ISC Suspension Options! 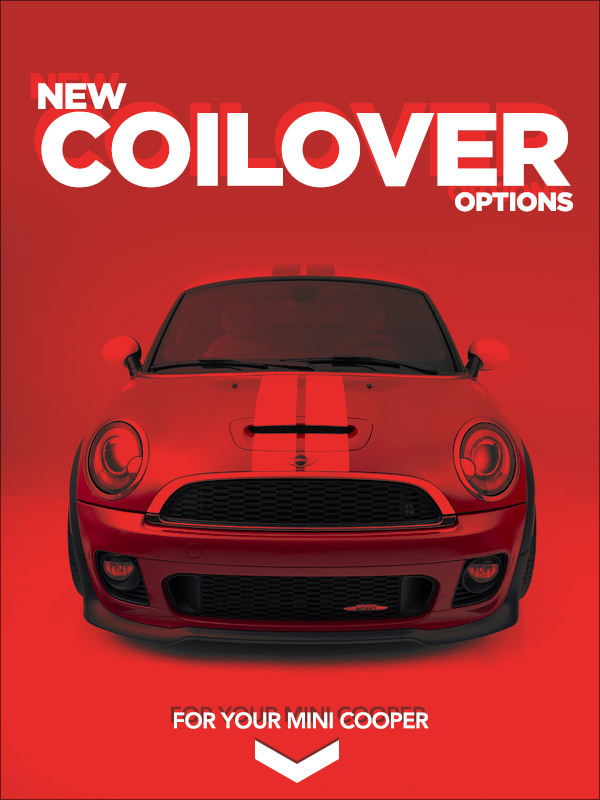 Quick Reply: Finally.. More Coilover Options!